We moved into our house about three years ago and it feels like it’s taken forever to get the interior to a point we’re happy with and things feel settled. The backyard, however, was a whole other beast to tackle. We waited until halfway through last summer to have stonework laid in the backyard and since it didn’t wrap till late September, we offset the patio project into this year. Combine weeks of travel, a horrible spring and a zillion other things on the go – we kept putting off the project until it dawned on us how fast summer was approaching. With no excuses left, we’re officially ready to tackle this project once and for all. I’ll be honest, investing serious money in a home that we know isn’t our ‘forever home’ is a hard pill to swallow. This is definitely one of those times when we dig up gift cards we may have forgotten about, keenly watch for sales at local stores and use the Membership Rewards points on our American Express card that we’ve earned from our travels abroad (Hawaii, Miami, Charleston… ok there’s a lot) and day to day purchases like groceries, gas, clothes and more! To be honest, I never pay much attention to the points we accumulate, but when we kicked off the project, I was looking at how fast we earned points from our online statements and I was super impressed on how much value we’ve earned for this project. With the stonework already laid, we have a general idea of what we’re working with in terms of layout. 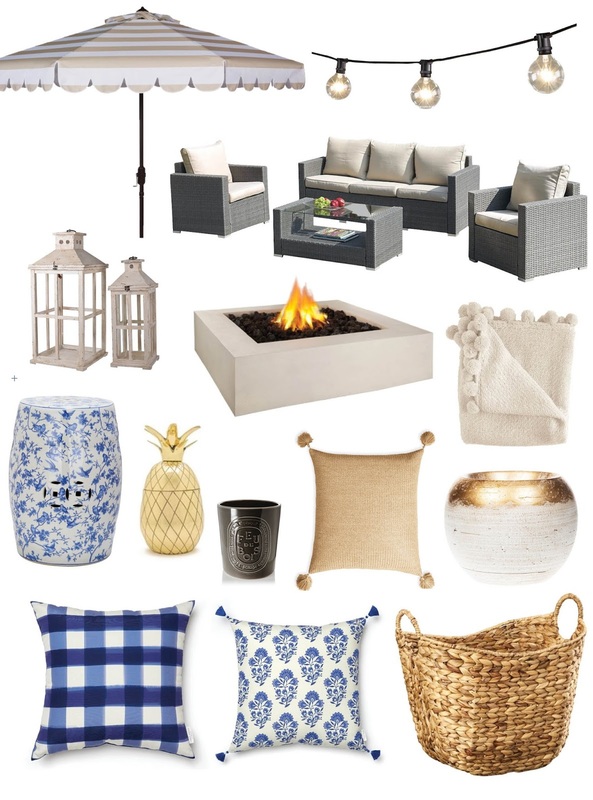 We bought a patio set last year that we don’t love, but figured with the right cushions, new umbrella, placemats and décor, we can spruce it up! I’ve already made a trip or two to my local Home Depot, Home Sense and thankfully, our friends at Wayfair have also offered to contribute a few items to help with the completion of the project. 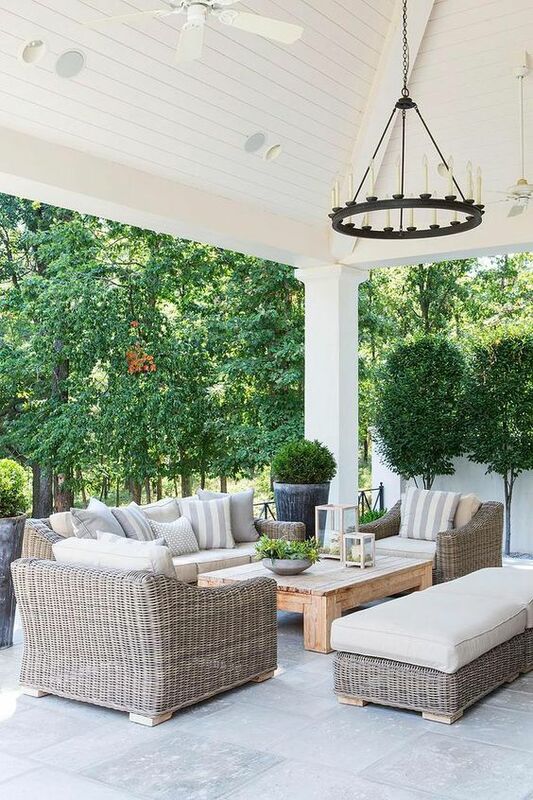 We do plan to add a conversation set, fire-pit, area rug and fun décor items like floor poufs or garden stools to really bring the inside outdoors. This is where we plan to entertain friends, dine al fresco or spend work from home days and I want it to be cozy, comfortable and inviting. Since we’re out in the suburbs and in a new development, we have five neighbours, so adding some trees and shrubs for privacy will also be on the agenda. I’m actually cleaning the dirt out of my nails as I type this lol! 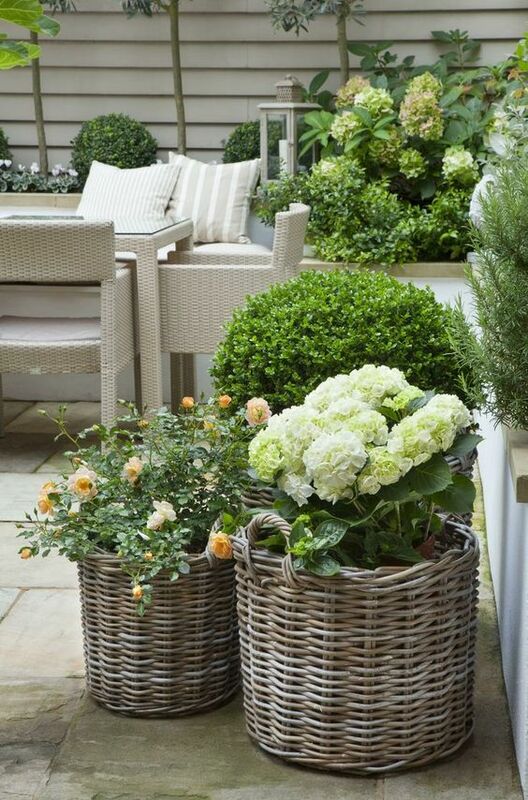 I’ve pulled some inspiration images that I love in terms of décor, colours or even ambiance for a backyard feel. Ours certainly won’t be looking like these, but magazine tear-aways, mood boards and good ol’ Pinterest always helps me bring my visions to life. Got a project on the go or looking to redeem some of your hard earned American Express points? 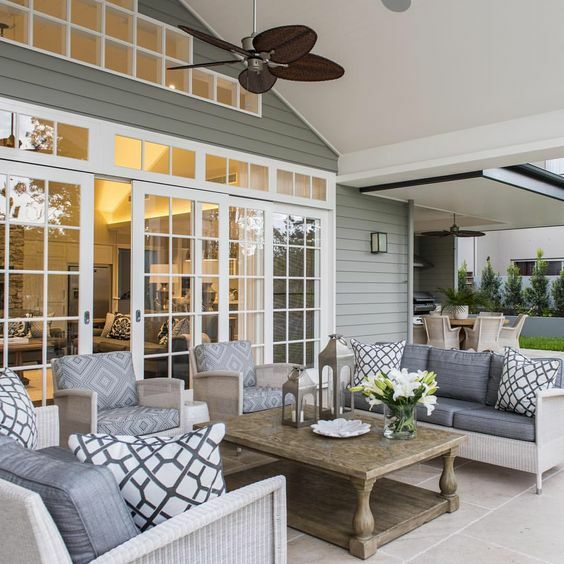 Simply charge any eligible purchase to your card, like those shoes you HAD to have, lunch at a fab restaurant or pillows for your next patio project, then log on and simply apply your points towards your next statement as a credit. We personally love doing this on-the-go with our American Express app and within 48 hours our points are deposited and our credit has been applied! Stay tuned for the before and after reveal coming to you shortly! This post was sponsored by American Express Canada. The views and opinions expressed in this blog, however, are purely my own. 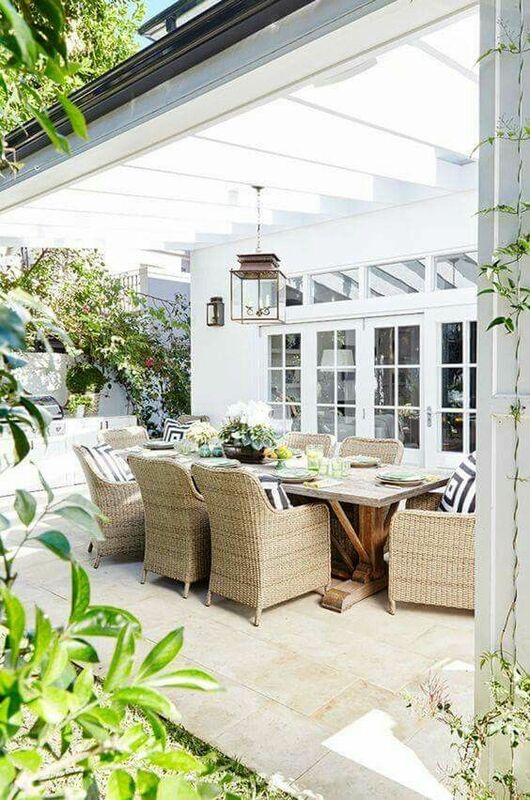 This is one enviable patio. Love how it looks so simple and elegant. Aren't these images to die for?!?! Obsessed!